The opening novelette, "The Rotting City," is the strongest of the bunch. The world is generations past an environmental apocalypse that sank most of the major cities of the world beneath the rising seas. The world economics and academics shifted to formerly third world countries. This is the backdrop to an archaeological excavation at Old London under the heavy eye of a xenophobic, dystopian regime. Unexpected ties to Lovecraftian lore brings this tale home. I highly recommend the tale. "Graveyard Shift" is a forgettable vignette offering a slightly different perspective from the POV of a zombie. "The Man Who Knew" is equal parts urban legend and supernatural ghost tale. This tale twists and turns to its surprising end. Finally, "Down in the Cages" provides a new take on vampire/human relations. The vampire politics and mind games make for an interesting inclusion into the vampire canon. This tale is recommended. 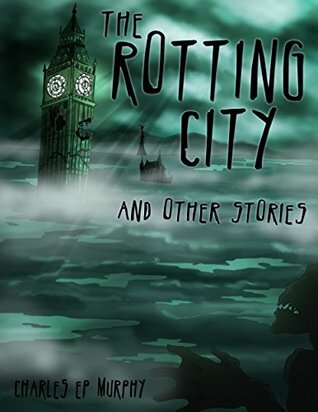 Sign into Goodreads to see if any of your friends have read The Rotting City and Other Stories.